Warehouse RF | RTC Group, Inc. 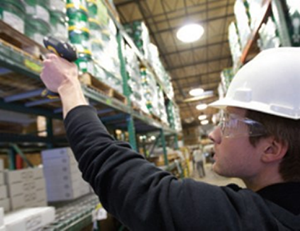 Warehouse RF is perfectly integrated with JDA MMS and designed to make MMS more mobile in the Warehouse. This cost effective solution has been shown to increase productivity by 55%. Warehouse RF is part of our MMSxTend suite of applications which are perfectly integrated with JDA MMS and designed to make MMS more mobile. This solutions is a cost effective value add solution for retailers looking for an extensive set of features and capabilities, to mobilize their MMS warehouse at a Great price. If you find yourself struggling with inefficiencies in your current JDA® Merchandise Management System® (MMS®) warehouse processes that are driving you nuts? Imagine the impact a 55% increase in productivity could mean to your bottom line? •Increased Accuracy and Accountability - providing real-time data updates to JDA® MMS®, allowing faster and more accurate processing and eliminating unnecessary paperwork. •Increased Productivity and Efficiencies - accurately track products from receiving to shipment confirmation, allowing you to manage the fulfillment process more efficiently with greatly increased productivity. •Cost Savings and Impressive ROI - by leveraging your current JDA® MMS® network infrastructure investment, Warehouse Optimization RF is inexpensive to train and implement and can quickly provide a significant return on investment. Contact us Today to learn more about Warehouse RF - 800-993-3944.